This new lantern is exactly what you need when there’s something to celebrate! You quit the gym? Discovered a new wine? All good reasons to celebrate life and hang out with Lampie-on. 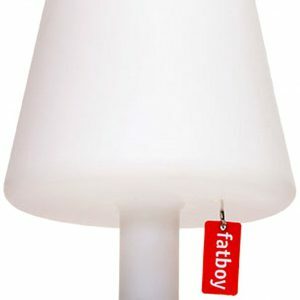 The wireless Lampie-on is designed for both indoor and outdoor use, so nothing beats this charming lamp when it comes to decorating rooms, gardens, pools and parties. Besides the regular version, Lampie-on is also available in a deluxe variety. This one comes with shiny copper-coloured details and three fairylike sleeves to set off your 1001-nights setting. 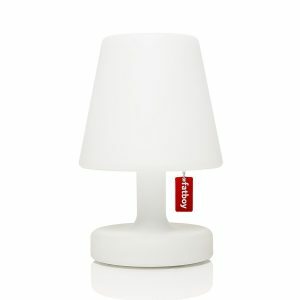 The hook turns Lampie-on into the captain of lamps, completely free of uninvited wires, so it is possible to hang it and hook up. Lampie-on needs a physical movement to influence the light. So think twice before you try to ‘Push the Button’. To get light, it’s better to slowly slide. Just like they did it in the past with the ancient oil lamp.